It’s a GEEKGIRLPALOOZA! We are doing our second live podcast show with Chris Gore and we’re taking the show to Hollywood at the iconic iOWest Theater. The show starts at 8pm but join us at the bar before the show starts. Go to the Facebook Event page for updates and check our twitter too. Check out the Facebook Event Page for the SUPER*MARKET NIGHTMARKET! 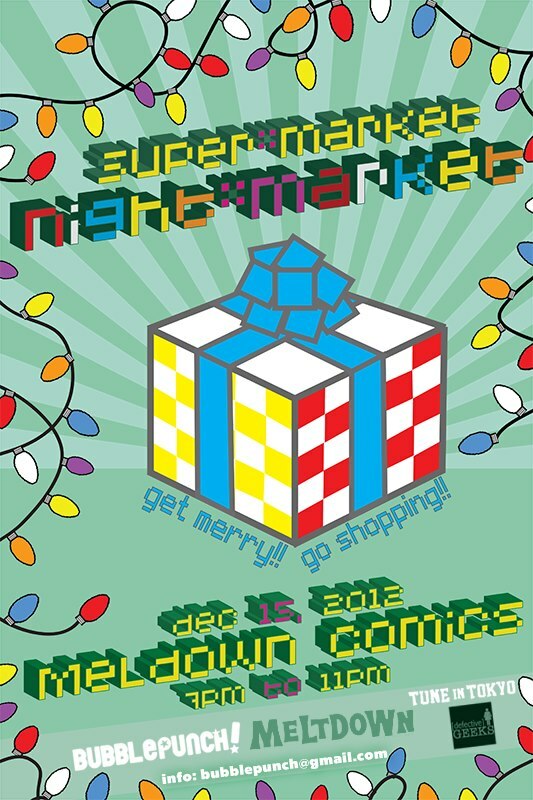 We’re back at Meltdown Comics at the Nerdist Theater for SUPER*MARKET to celebrate the holidays. Come and get a little shopping done, buy presents and we will sing you some holiday carols. Not really. Well. Maybe. But seriously, this show is always fun and adorable — we hope to see all of you there! Defective Geeks x PodCrash: Photos, Setting Up!